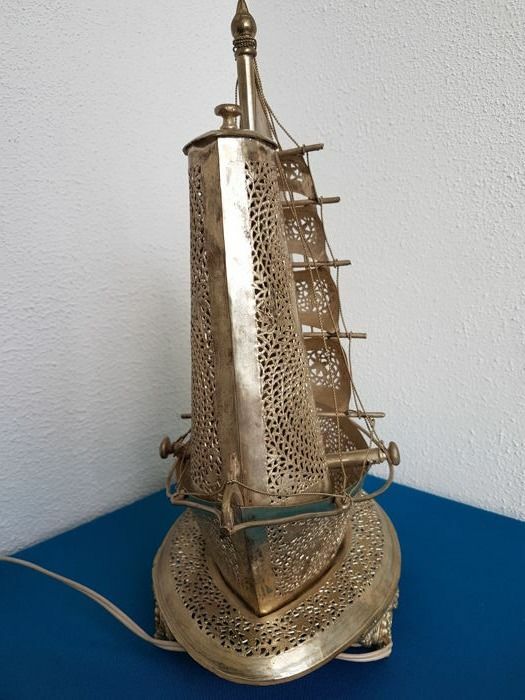 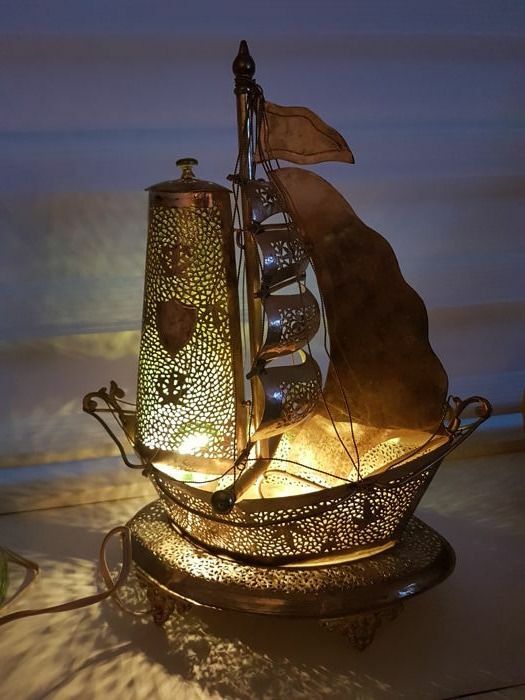 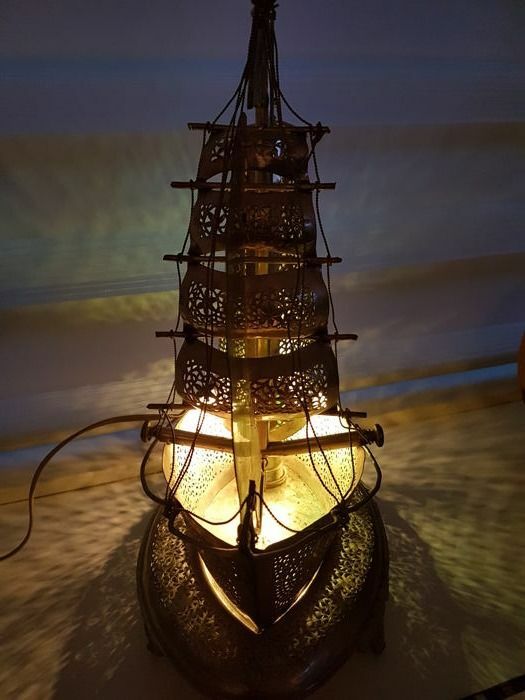 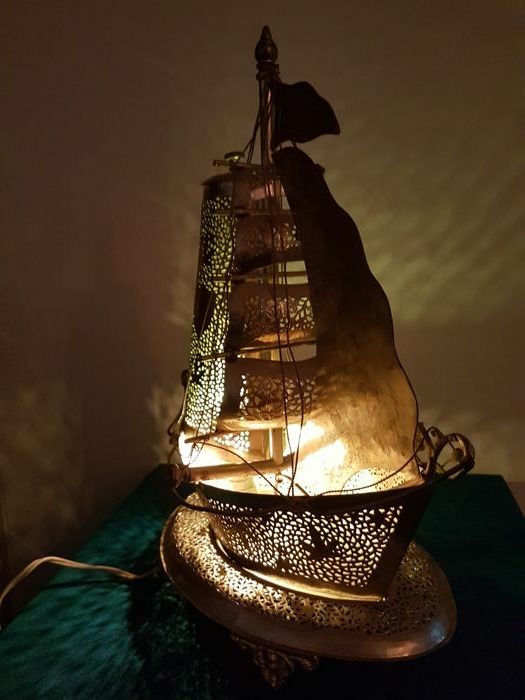 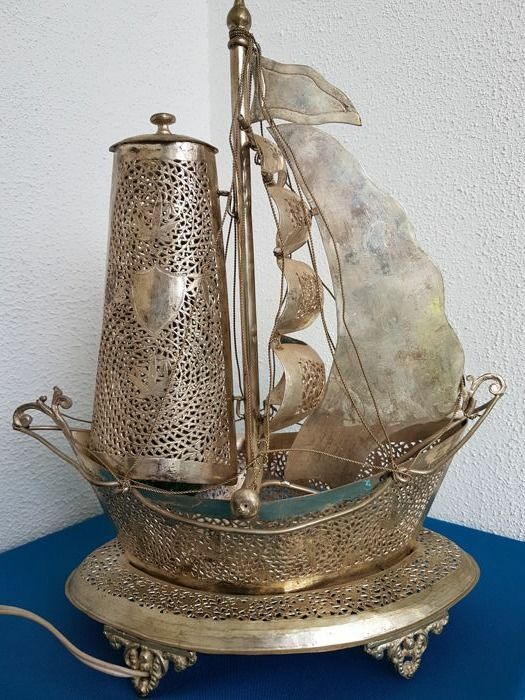 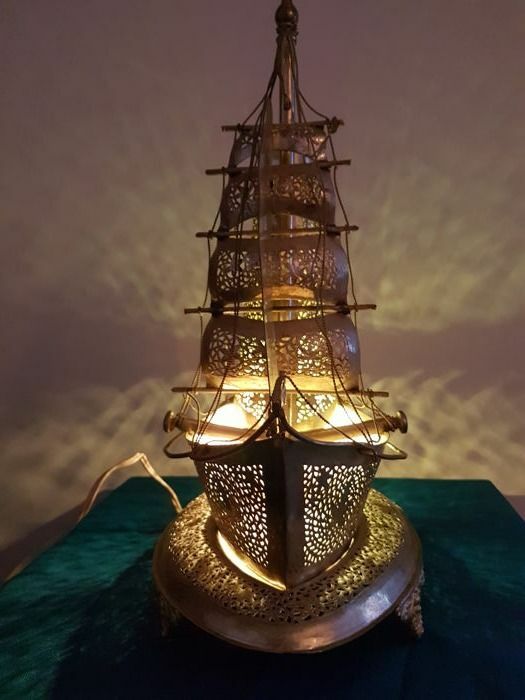 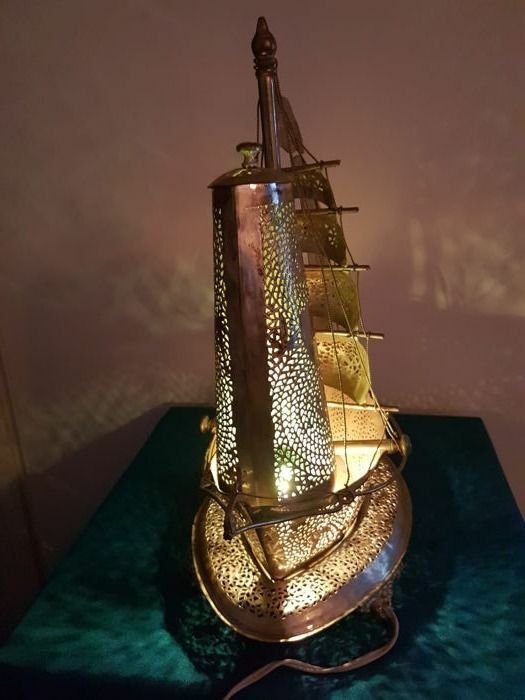 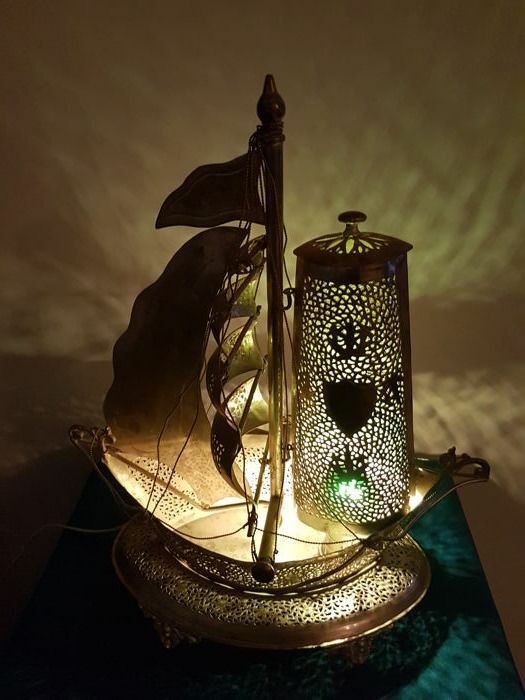 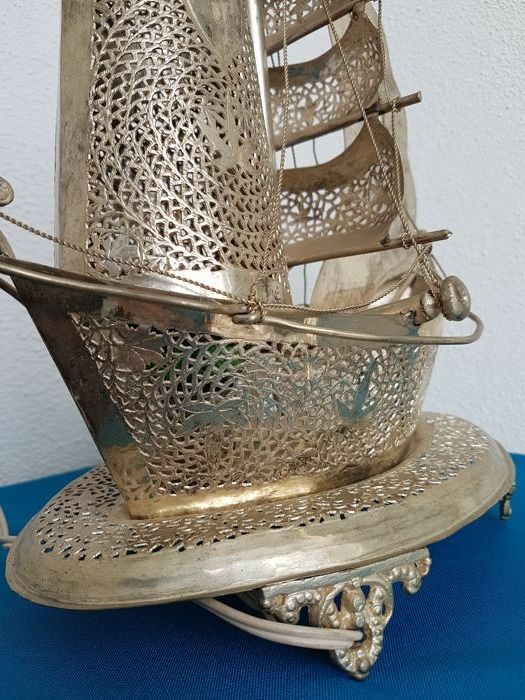 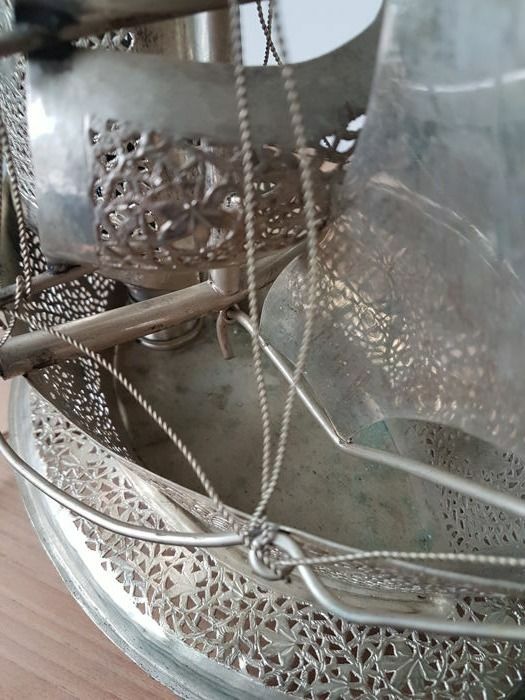 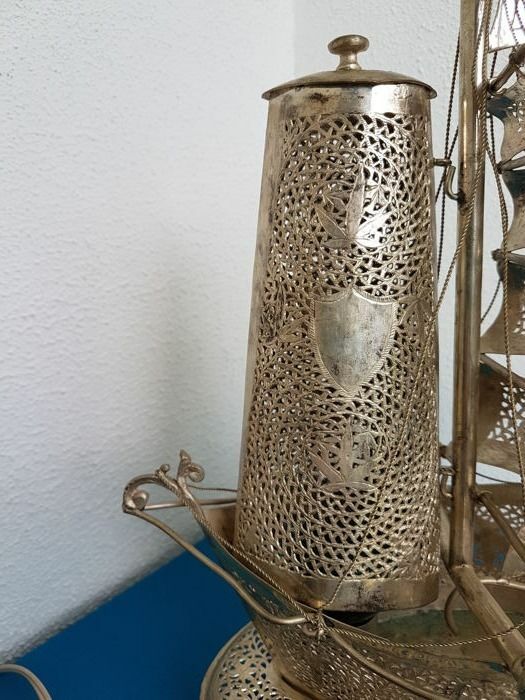 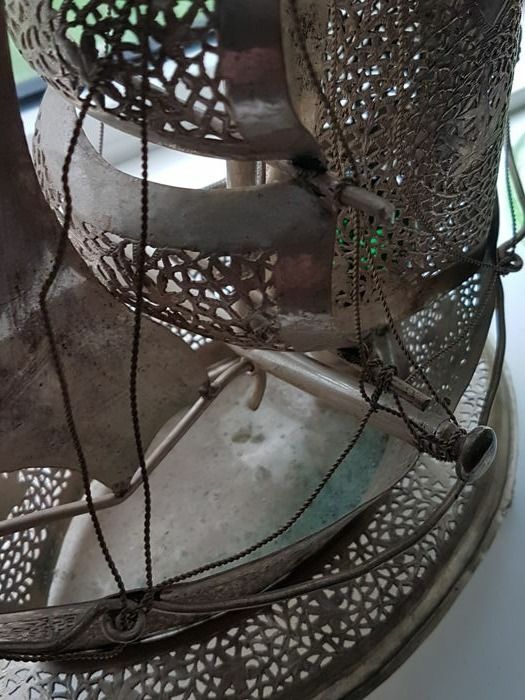 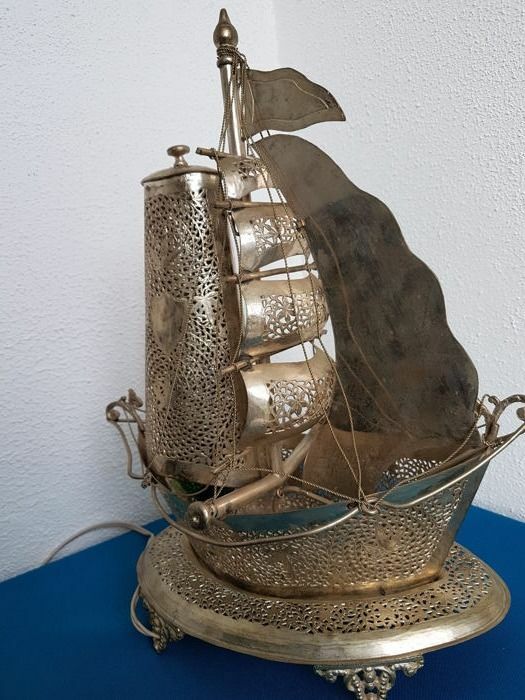 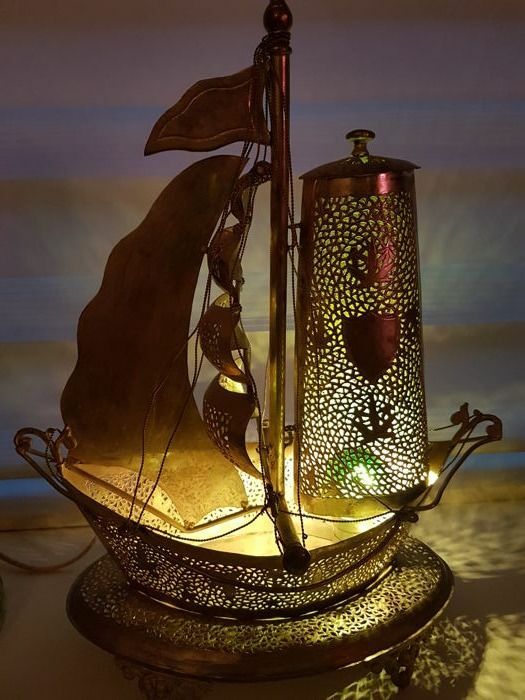 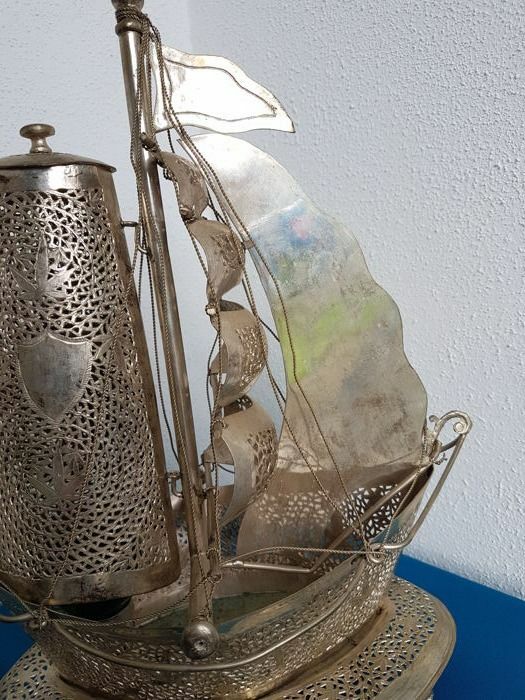 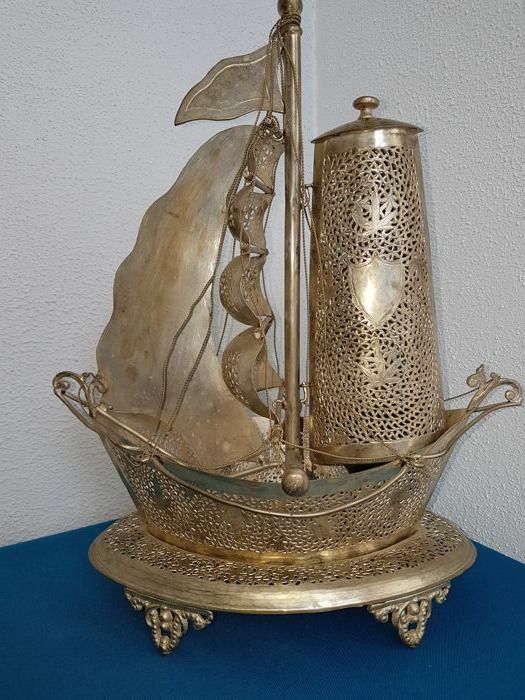 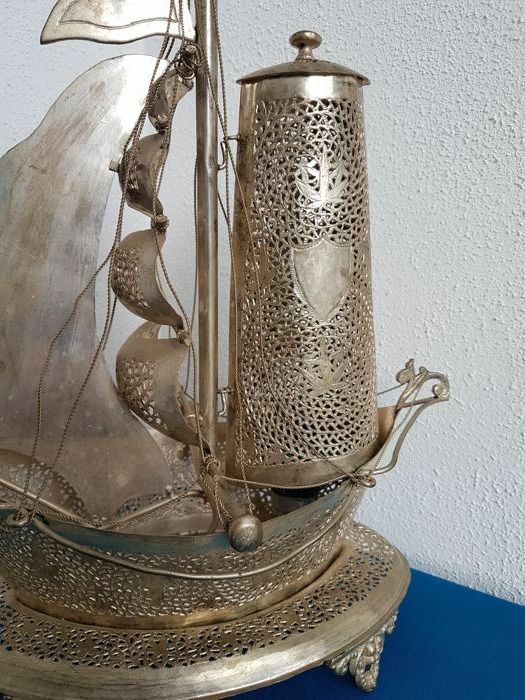 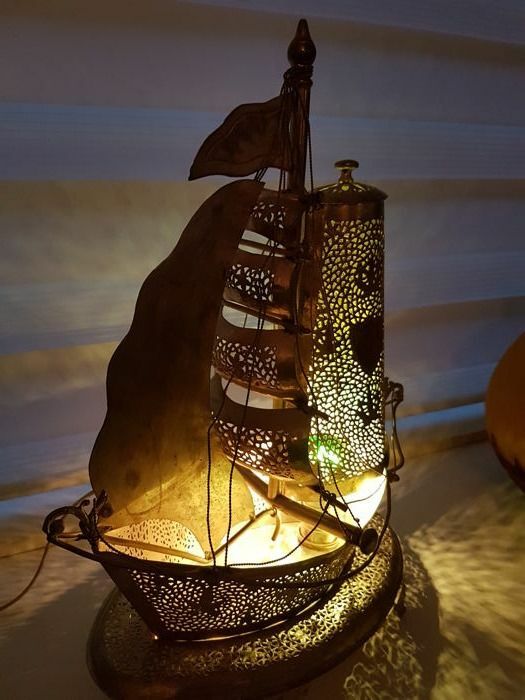 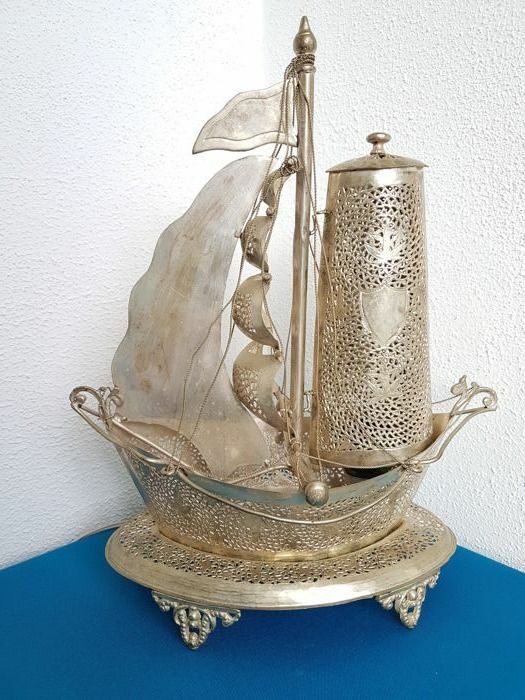 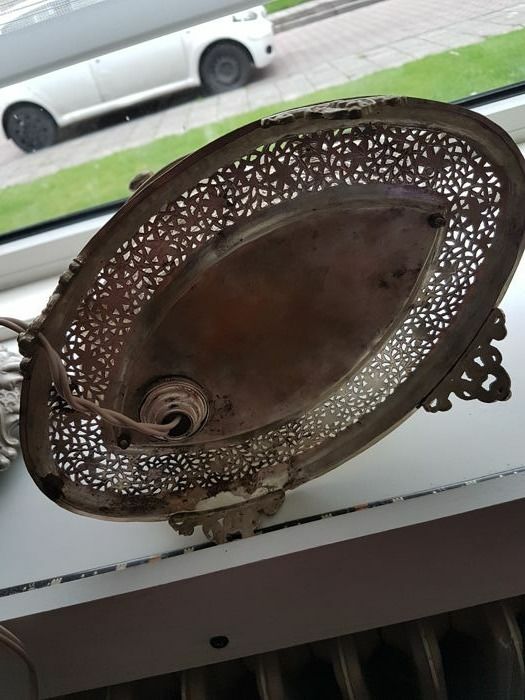 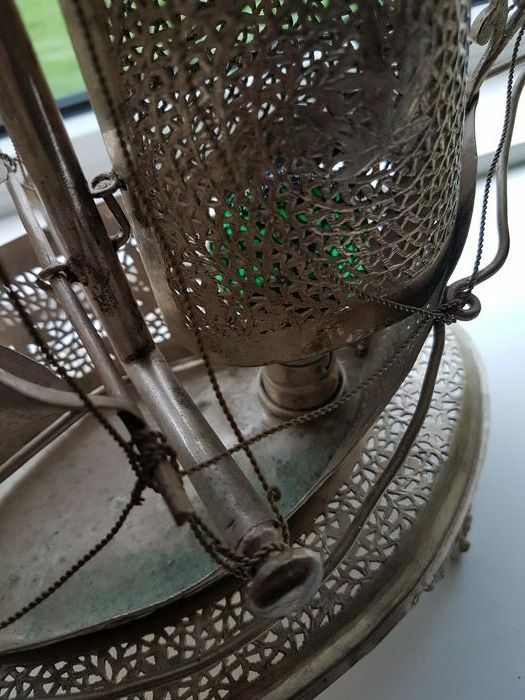 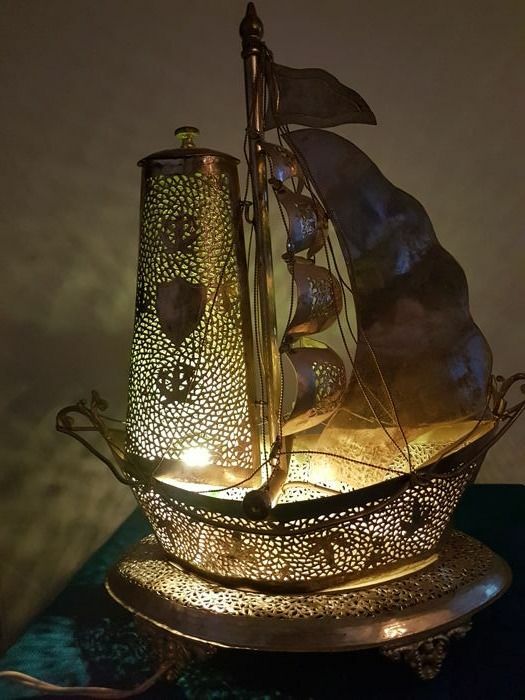 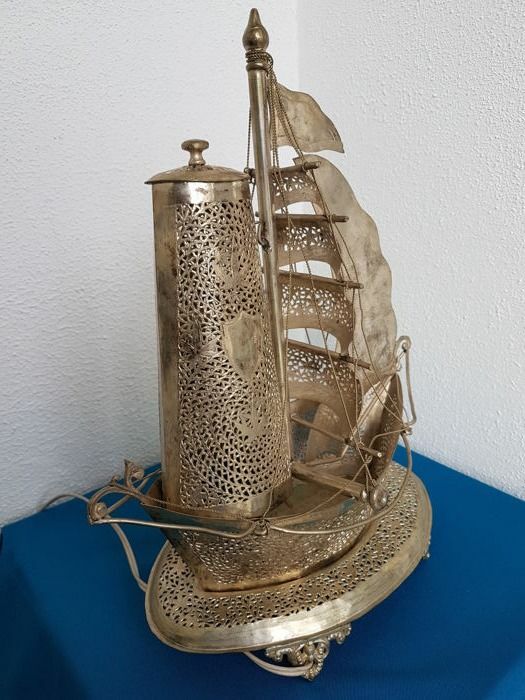 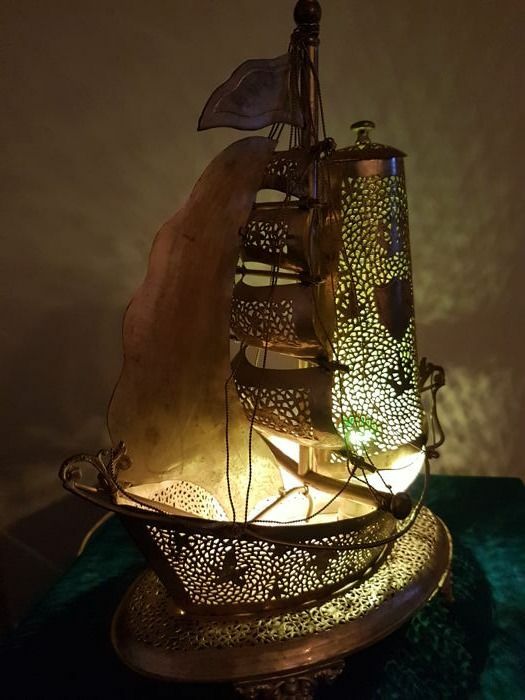 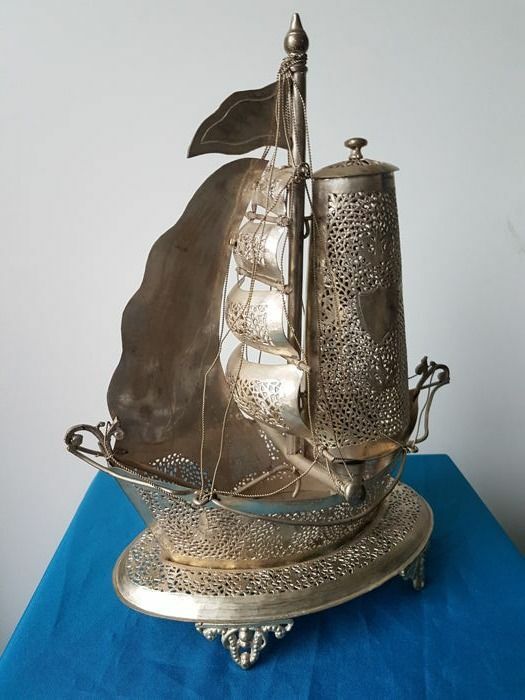 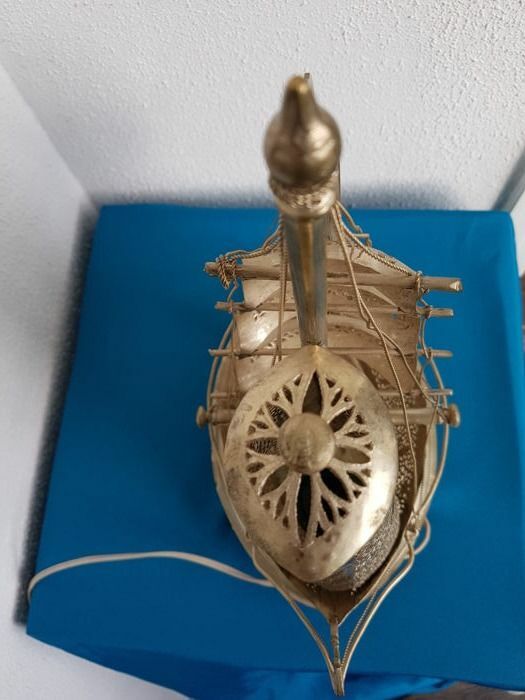 This rare, entirely handmade lamp has a length of 25 cm, is 17 cm deep and is 36 cm high. 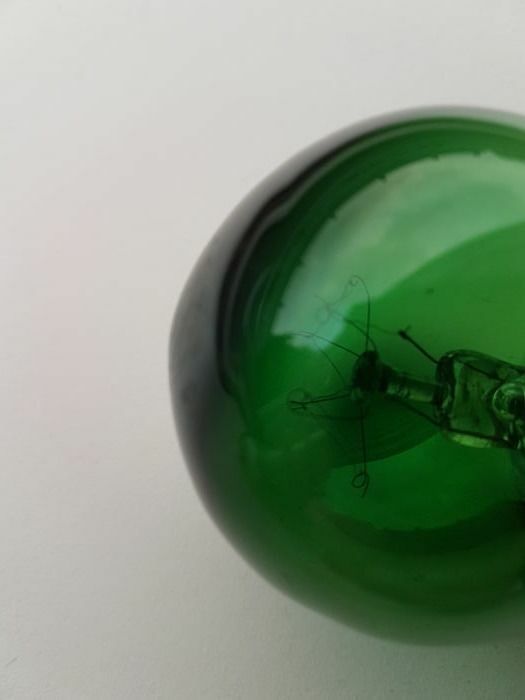 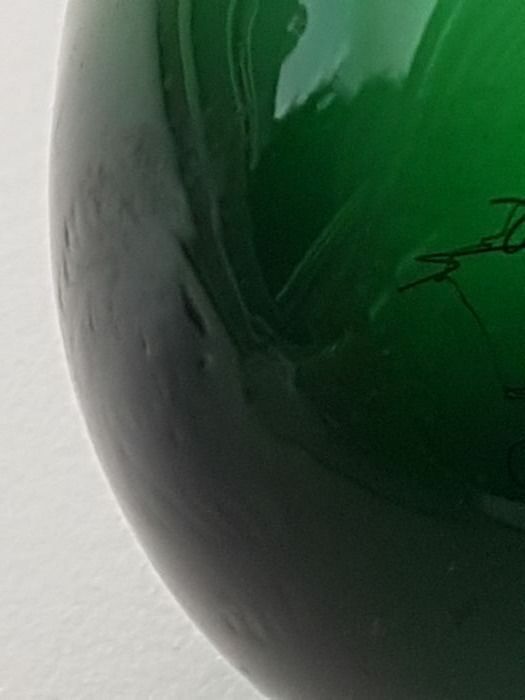 The original mouth-blown, green coloured light bulb is included. 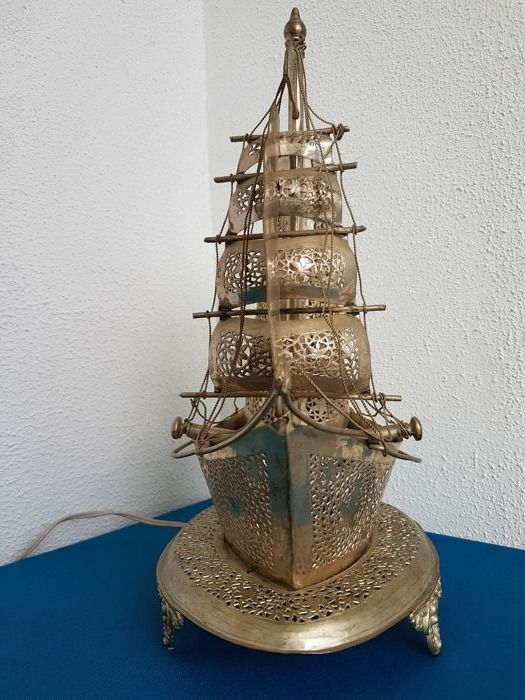 The lamp is entirely complete. 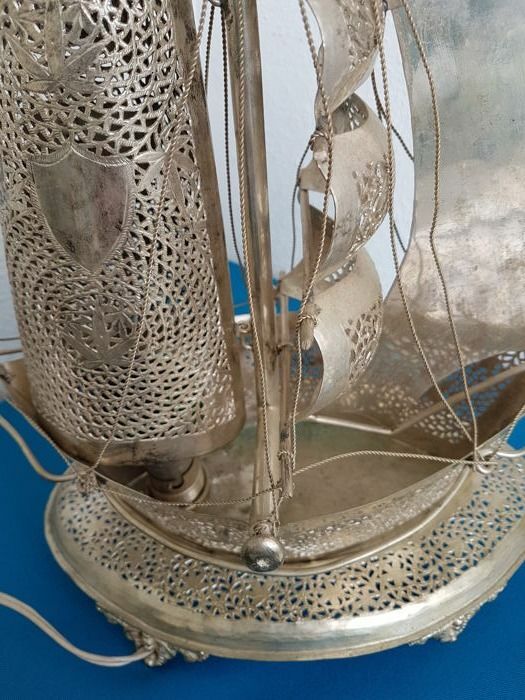 The lamp will be packaged with care, shipped registered and insured. 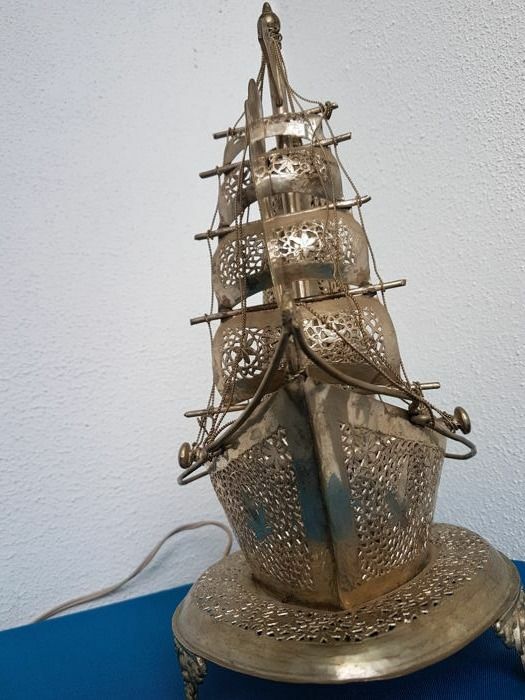 You can pick up this lot from the seller: Dreischor (), Netherlands.